While I've seen the movie Beastly which was based on the book by this same author, Alex Flinn, this is the first actual book I've read by her. I do really enjoy fairy tale re-tellings, and this actually several tales in one. And, as is a bit of the problem I had with Two and Twenty Dark Tales, a book I was able to get from Netgalley, but then couldn't finish, some of the stories are not well known ones. It's hard to really get into something that you can't relate to, at least when you're expecting a well known fairy tale. 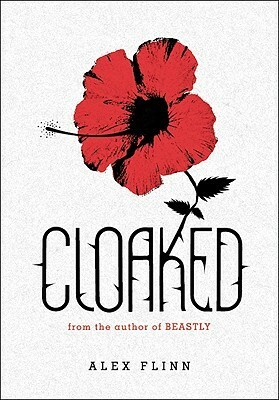 From the title, Cloaked, I just kind of assumed maybe it was about Little Red Riding Hood. But no, it was not. The main story was kind of about The Frog Prince, and that is well known. It was just several smaller tales mixed in. And really, they did all work in a way. The main character is Johnny Marco. His family has always worked on shoes, and so we kind of start with The Elves and the Shoemaker tale. Just that we have Johnny who designs shoes. He is really good at the designs, but doesn't really have the materials or money to try to make and market them. A beautiful princess, Victoriana has come to the hotel to stay. She ends up seeing something good in Johnny, and decides to ask him to help her find and rescue her brother who has been turned into a frog. 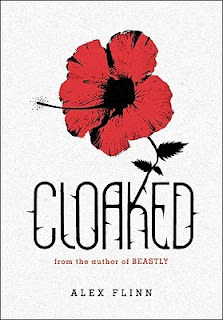 She gives him a cloak to help travel from place to place in an instant, hence the title. In his travels to find the frog, he must try to help the swans at the hotel, then a fox at a motel, then a park ranger with a giant problem. All during this time he is being chased by witches. His best friend Meg, ends up being more of a help than expected. At one point being summoned to help him by Johnny putting on a ring, to where she is now with him in the middle of the adventure. All the different issues do end up getting resolved in one way or another. It is a fairy tale after all. And I like the way it all gets wrapped up. There even Brownies, not the yummy chocolate ones, but the little elves. And Johnny gets a chance to live his dream, even after turning down marriage to Princess Victoriana. So a fun fairy tale read!! This was a cute story. I don't know that it is the best choice for the Truman list for next year. I think it might actually be a better choice for the Mark Twain award which is the younger award. 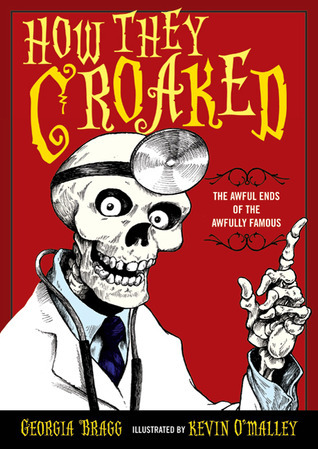 Yes, the kids in the book are junior high age, which is the age of the readers of the Truman award nominees, but it just felt like a little bit younger student would enjoy this story. Again, there are 6th graders reading the Truman, and maybe some of the not so great readers, so for them it might be a good one to have on the list. But it will not be one of the top ones that I recommend. The main character is Linc, short for Lincoln. His mom is an anthropologist who studies burial customs. So he has been to graveyards all over the country. And he lives right next to one now. He's asked his mom to let him out of the home school group this year, so that he can go to the public school. Once at the public school he feels really out of it, often bullied. And then, he finds out that they are going on a field trip to the one place he doesn't want to go, with the one tour guide he really doesn't want to have. The cemetery by his house, and the tour guide is his mother. He is able to get her to pretend not to know him, and since they have different last names, it works, until... One of the cool kids, that Linc knows from the home school years before, is drawing a picture of his mom making fun of her. Eventually Linc can't stand it and blurts out that she is his mom. Well, after he runs home, he finds out that they had a project assigned. They must pick one grave and research the person. Linc chooses the Black Angel, a statue with a history of a curse. But his plan is to prove that all the mysteriousness about the statue is just silly. One of the other kids in the class, Delaney, chooses a grave that has a last name just like Linc's middle name. And so they begin to work together. Linc keeps finding things that don't help him prove the stories wrong, but start to convince him there may be a curse. 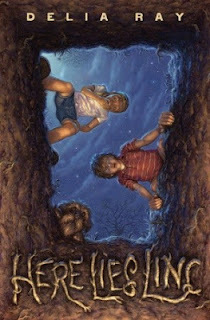 And with Delaney's grave, they learn soon that Linc has family he didn't know about. Linc is trying to fit in with the popular kids, but also has problems with the new person in charge at the cemetery. Plus, more problems with his mom, the scatterbrained historian. Overall this was a good story. Some good background story, definitely. And good teen dealing with parents, as well as the popular people at school. A good story for sure, I recommend it to probably 5th, 6th, and maybe some younger 7th grade readers. This is a book that I've seen bouncing around the Book Blogosphere for awhile now. I was very excited to get a copy of it at BEA this summer. It's not signed, and I didn't get to meet the author unfortunately. And I put it off reading until I got the list of the Truman possibilities and saw it was one of them. And even then, I waited till about halfway through the books, because I had a good feeling I'd really like it, and I didn't know how many of the others I would like. So I saved it for later. And it was very good! Now I'm eager to read on in the series. I gave it a pretty high rating on Goodreads because I felt it was pretty original. Yes, it was a dystopian, which there are many of. But it had an interesting take on it. We have two main characters that tell us the story. First is Day, the most wanted criminal in the Republic. From what I can tell, the Republic is basically California, or maybe all of the Western US coast, as its own nation that seceded from the United States, now called the Colonies. 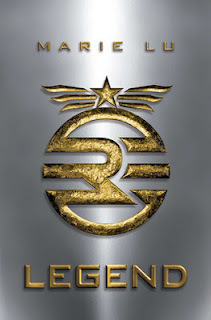 So I'm guessing that Day is the Legend that the title refers to. One reason I guess that is because the sequel is called Prodigy, which I'm assuming will refer to our other main character, June. June is a prodigy, the only 10 year old to ever get a perfect score on the Trial. So therefore June is now, 5 years later I believe, in the military school, of course as a prodigy, expected to move high up. Day has become a criminal because when he took the Trial, even though he thought he did really well, he was told he failed, and so was supposed to be sent to a training camp. But he wasn't. He was taken away to a lab, where they experimented on him. But he escaped. Something considered really unusual for someone to escape from the "training camps". And since that time, he has begun doing what he can to sabotage the Republic. Really trying not to hurt anyone. But when he finds out his family has the plague, he must find a way to get a cure. So his next mission is to a hospital. But he doesn't quite get out of it this time. Metias, June's older brother is there to stop him. In order to get away, Day throws his knives at him, thinks he hits him in the shoulder, and gets away. With injuries from dropping from the building. June is woken up that same night, to come and identify her dead brother. And she vows revenge on Day, doing whatever she can to help the Republic catch him. Part of this ends up being going on an undercover mission to find him. Which she does, and he ends up helping her when she gets injured. At first she doesn't know Day is the Day, she doesn't know his name. He and Tess are very careful not to say it. But soon she figures it out. And when she does, she knows she has to turn him in. But she makes the soldiers, including her brother's friend Thomas, who she grew up with, promise not to hurt anyone in his family. Again, this doesn't happen. They kill his mother right in front of him. June is so upset, and finally begins to see Thomas as not such a good friend. She starts going through her brother's journals, and even finds things that lead her to believe Metias had also found something going on. It is these mysteries, some of which June solves, that lead her to make her next decisions. And lead to what happens to Day and his brother. Great, great story. One I didn't want to put down, and of course I was reading it with little time! I will not be surprised if this is on the Truman final nominee list. 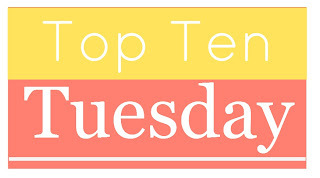 I'm not an every week participant in the Top Ten Tuesday, but being Thanksgiving week, seeing this on blogs I follow I figured I'd join in. This is sponsored by The Broke and the Bookish. 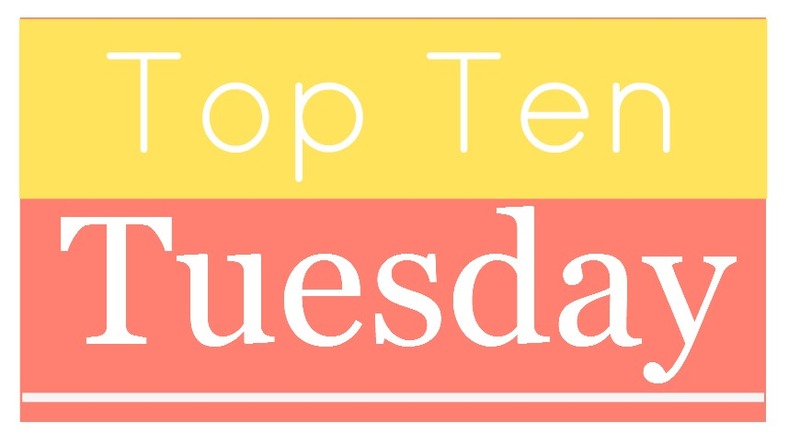 And the perfect theme for this week is the top 10 books and/or authors that we're thankful for. And like some of the other posts I've seen, not all of my posts will be specific books or authors exactly. 1. First I have to say I'm thankful for the Nancy Drew series, which in a way means I'm thankful to my mom. When I was young, 3rd grade I think, there was a bunch of the series for sale at an outlet store. My mom bought like the first 10 in the series I think! I took them home and devoured them. A great beginner series, and also thanks to my mom, who at the time didn't see quite how obsesses I would be with reading. 2. I know many people out there aren't a fan, and have lots of criticisms. But I LOVE the Twilight series. The story just sucked me in. And, to see how much this series got people excited about reading again, that makes my day. 3. I have to also mention the Harry Potter books. For making such a huge pop culture following along with the movies and the books, where it was cool, in some crowds, to be discussing fictional characters and how things would work for them. 4. Next would be the Percy Jackson series. Once again the students I saw that were former reluctant readers, and they got pulled right into reading, and never looked back, really just made me happy to be a teacher again. 5. And along the same lines would be The Hunger Games. Having students come up to me and talk about things that were missing from the movie, that totally made my day. To have kids knowing how the books are always better than the movie was just music to my ears! 6. Stephen King is an author I'm thankful for. His scary stories were ones that again I was able to share with my mother, or maybe vice-versa. At first I wasn't allowed to read them. But I remember the summer before my freshman year of high school, my mother had left one of them sitting out, and I read it. And from then on, I was unable to put his books down. 7. V. C. Andrews is an author that I loved, and the books I read over and over and over!! Sick as the stories really are, there are a lot of things from those books that have stuck in my head. 8. All the Buffy the Vampire Slayer books. Not the comics, but the actual books. They gave me something to continue reading when the show was over. And always bring me right back to hanging with the Scooby Gang. 9. I'm going to combine the Wrinkle In Time series with the Lion, the Witch and the Wardrobe series. Both of these are books I read over and over as a child. Again, they are reference points for me for several things, many situations in life bring to mind things that happened in these stories. Even the movie The Avengers the summer reminded me that I'd learned about a tesseract first in A Wrinkle in Time. 10. This is kind of a general one, going out for all those awesome authors that are out there and available to talk to on social media. How cool to be able to so easily interact with these people who are my rock stars. A couple specific shouts go out to Cara Lynn Shultz, who was so cool to actually meet up with me last year when I visited NYC for the first time. Also Maureen Johnson who is so funny on Twitter. I could go on and on, but pretty much almost every YA author on Twitter is who I'm thinking of. Heather Brewer, Beth Revis, Jodi Meadows, Rachel Vincent, Aimee Carter, Jay Asher, Nancy Holder, there are so many I could go on and on!!! So, what books or authors are you thankful for this Thanksgiving season? Okay, I have to say first off, for some strange reason, when I first saw this book, the name made me think of that football player that was using his dogs for the illegal dog fighting. But that's Michael Vick, right? Anyway, the cover didn't draw me in. And I never thought I really wanted to read it. In fact, when it was on the list for this year's nominees, I was like, aw man, now I have to read it. But, once again, so glad that I did have to read it! 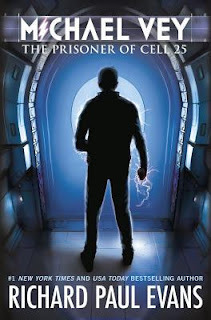 Because this is a really good book, and once again, as there seem to be less books with male protagonists, this is a good one for the boys out there. So, the subtitle, The Prisoner of Cell 25, actually doesn't really show up in the story until later. But our main character is Michael Vey. A 14 year old who gets picked on. And the principal at his school is kind of a jerk. It seems to be the kids who are being bullied that get in trouble. For being locked in their own lockers. It just makes me shake my head as an educator to read or hear about stuff like that. But anyway, he has a friend named Ostin, pronounced like the city, who is pretty nerdy. There is a cheerleader at school that Michael has a bit of a crush on. One other thing, Michael has Tourette's syndrome. Not like you see on tv or movies where they shout out bad words, but his occurs as blinking, or gulping. So he figures the cheerleader, Taylor, would never be interested. But she does seem like she's one of those girls that really are just nice as can be. One day Michael just decides he's had enough. He's got detention for a week for being locked in his own locker upside down, and since he won't tattle, because he knows then he'll get bullied worse, he's so angry when these bullies start following him after detention and accusing him of being a snitch. Well, Taylor sees this happening, and yells at the boys to stop it. But when they don't, Michael brings out his other secret, he can send electricity out from his body, and he does, into the bully Jack, and then Wade, and Mitchell. Taylor sees, and now is curious. Up until now, only Ostin, and Michael's mother knew about his powers. Turns out that Taylor has her own powers and is curious. But no one knows about hers. They form a club, the Electroclan. Unfortunately, as they try to do some research into how they may have gotten their powers, there are some mysterious people out there looking for them, who now find them. At first they try to woo them with scholarships to a fancy school called the Elgen Academy in Pasadena, CA. Well when Michael and Taylor both refuse, turns out the Elgen Academy doesn't take no for an answer. Taylor gets kidnapped, and they try to do the same with Michael, but instead it turns out that they can't get him in time, so they take his mom in order to get him to follow. So of course Michael does. He takes Ostin, and now convinces the bullies, Jack and Wade, to drive them out to California. Over the journey they kind of become a little bit better friends. And while the deal is just to drop them off and leave, Jack and Wade end up staying to help. But help leads to getting caught. When Taylor first gets to Elgen, she learns she has a twin sister. So the big guy, Hatch, tries to convince her to stay and be a apart of it all. Shopping on Rodeo Drive. Taking her to a concert of her favorite singer. But once there, Hatch asks Taylor to do something, she does it, but feels horrible after. Then they go to another event, motorcycle races where Hatch asks her to keep a guy from winning. But doing it could kill him, and so Taylor says no, but her twin does it for her. Taylor is punished by being sent down with the other electric kids. And this is where Michael must try to rescue her from. This was a really good story. I won't tell you anymore. I'll let you read it, but I can see a lot of kids enjoying it. It does have a sequel out at the store already. It'll be on my TBR list. I was so eager to read the conclusion to this series that I checked it out from the bookstore where I worked and read the over 500 page thing in just a smidge over 3 days. And I wasn't disappointed at all. We learn soooooo much more about the society, as well as the Pilot, and our characters backgrounds, Ky and Xander specifically, that we didn't know before. I mean really we knew quite a bit about Cassia, as she was kind of the main character to start with. I loved how this Society kind of met it's match with the whole Plague. It was an interesting way to show that what they thought was best for everyone, was not really. And that even though they knew this could be an issue, they didn't take the time to make sure if it did ever become an issue they could really solve it and make sure it didn't become the disaster it did. One thing in the book that I didn't necessarily remember from the first book is that not only were there only the 100 paintings saved, and 100 songs, 100 movies, etc., there were also the 100 science lessons. And wow. I just can't imagine only 100 science lessons. There are so many facts in science that to shorten them to that? And then to hear that the people in the Society didn't realize just what the world was really like because of what the Society deemed to be the most important science lessons. I loved going back to all the little clues there were in the past that added up to the final cure. And we did even learn some things about Cassia's past that she had even "forgotten". While I will say this book did seem a little long, it wasn't that it became uninteresting in any part or anything, it just seemed maybe a little longer than necessary. But as you can tell, it was interesting enough that I couldn't get through it fast enough! IN fact, if I could have, I would have taken it with me to read in line at the Breaking Dawn Part 2 premiere. Of course it turned out we were able to go at 10:30 instead of midnight, so didn't have quite a long a wait as in the past. Normally I'll give a bit of a summary of the book in my review, but I just feel to do too much summary would give away too much of the story. Basically Xander, Ky, Cassia, and Indie were all working for the Rising, and the pilot now, but each in their own way. Xander as an "Official" more specifically a medic type for the society. Ky as a pilot with Indie. And Cassia as a sorter. Xander ends up being in a center when the Plague begins. And is able to help a lot of people. And even is helpful when the plague mutates. Ky is able to fly the cure into villages to help save people, and later the immunizations to try to prevent the plague. In the end it is Cassia's sorting that even helps to find the true cure. Her sorting, and memories from her mother's work with plants in the past. While there are deaths that are very sad, it is part of the story, and works well. 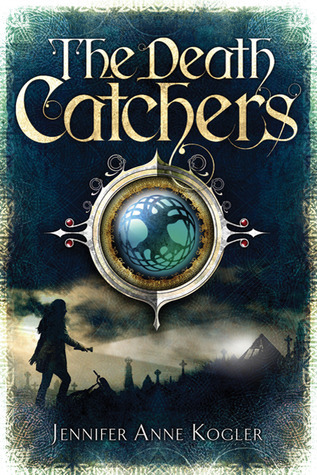 So I just have to say you probably won't be disappointed in this book if you are a fan of the trilogy. It is a good ending to the series. And was well worth the wait. If you'd like, you may read my reviews on the first two in the trilogy here: Matched, Crossed. I can't remember a book like this being on the Truman list before, but I have been intrigued by this book since I first saw it either early this year, or around this time last year. When I saw it one night working at the bookstore, I picked it up and turned right to the story about George Washington and was hooked. I even immediately went and told my school librarian she needed to order it for the library. Which she did, so I have to say I was very excited to see it on the nominees for the next group of Truman books. The book gives a short bit on what each person was famous for, just in case you don't know. Then it goes in to how they died. Sometimes it may be something that they dealt with for most of their life. Sometimes it was something done incorrectly at the very end. All in all it was very fascinating. Learning how Cleopatra died, as opposed to what we all "know" to be her death. Learning about how doctors used to treat people by bloodletting, and with leeches. All things that I'd heard of, but until this book, didn't necessarily understand how they worked. Hearing about how James Garfield when assassinated, might have survived the bullet if only all those many different doctors hadn't just stuck their unclean, not sterilized hands into the wound just digging to get out a bullet that hadn't actually even hit any vital organs. Yeah, it may sound kind of gory, but I think there are kids, or even people my age (like me) who find this kind of factual story about history to be fascinating. I know so many kids that would probably get a kick out of the this book. I purchased my copy from the school book fair this year. I will be putting it on my shelf at school for the other kids to read as soon as I buy some more of the library cards and pockets to put in the front of the books for the kids to check out. Some of the other well known people include Napoleon Bonaparte, and just why he held his stomach like that, Henry VIII, Beethoven, Mozart, Marie Curie, and many more!! I've even talked to one of our Social Studies teachers at school because I think there is so much they could get out of this. It's not just about how they died, you learn that it wasn't until JFK that there was really any Secret Service for protecting the president. Even after the other assassinations, they didn't think it was so necessary. So lots of historical tidbits besides the gory details of the deaths. Great, great book! P.S. - This review is coming to you live from Koffee Cake Corner Bakery in NYC!! I'm here visiting my sister in order to see the midnight premiere of Breaking Dawn part 2 tonight. Oh my gosh, I don't know if I can say just how much I loved this book! The story was really good, but besides that, with it being my first year teaching 7th grade English, specifically about plots and narrative writing, I loved the titles of the chapters, and how the protagonist or main character explained what they meant and how she was doing that with that part of the story. I could totally see using this with my class some year when I'm teaching this in the future. This isn't the first book by this author that I've read. I read The Otherworldlies a few years ago for The Truman list as well. I wasn't as excited about that one. It seemed a bit too familiar and like other books that were popular at the time. Not that it wasn't good, as the first line in my review on that (which you can read if you click on the title) says basically this same thing. It just didn't grab me like The Death Catchers did. Okay, so, as I said, this story is being told by our protagonist, Lizzy Mortimer, which means it is first person point of view, as she points out in the chapter titled "Point of View". Lizzy has to do something to make up for not turning in her project for English class with Mrs. Tweedy. And so she writes this "letter", albeit a very long letter, to explain why she didn't get the project done, and to hopefully make up for the project. In the story we learn how she finds out she is a Hand of Fate, just like her grandmother Bizzy. Only they feel that name is too old fashioned, so they change it to Death Catcher. The first specter, or notice that someone is going to die that Lizzy gets is for her very best friend Jodi. Needless to say all Lizzy wants to do is save her. But Bizzy explains that she can't tell Jodi, she can only do her best to keep it from happening. They are able to save Jodi, but in doing so, Lizzy sees her first Banshee. A little creepier than they are in the Soul Screamers series by Rachel Vincent. :-) And soon Lizzy gets her next specter. It's the cute guy at school. And not only that, through research, Lizzy find out that Drake is a little more important than just someone to save. Saving him will keep Doomsday from happening. There is mythology in this story, it is from the story of King Arthur. And while it is a bit interesting to have it happening in California, seeing as how that legend is really from England I think? That does make a bit of a stretch in a way. But not in a bad way. It didn't keep me from enjoying the story. Another thing I totally loved was Lizzy's mother. She sounds just like the type of librarian I want to be. According to Lizzy, her whole goal in life was to find the Right Book for that person. I feel the same. When I see kids who don't like to read, or who say that, I always tell them they just haven't found the right book. And I want so bad to make it my mission to find that for them. And I try, in between teaching, and when I'm working at the bookstore I enjoy finding books for people there too. Again I have to comment on just how much I loved getting to each new chapter to see what writing tidbit would be the title of that chapter, and how she would explain it as part of the story. Such an awesome, awesome, awesome book! I even told one of my students about it, and the chapter titles, and they thought that was such a cool idea! I will definitely be buying this to keep in my classroom library whether it makes the final Truman list for next year or not. If you enjoy re-tellings, this is an interesting one for the whole Arthurian legend. If you are an educator of any sort, classroom teacher or librarian, I can't imagine you not enjoying the fun way this was set up. The characters are very quirky and likable. I truly, truly LOVE this book! 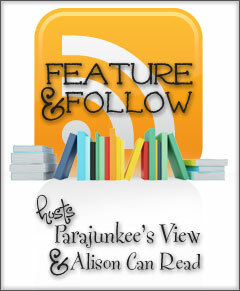 Thanks to I Am a Reader Not a Writer for hosting this hop. This will run until November 18th at midnight. Unfortunately I'm sorry to say that this is open to US only, as it is too expensive to ship otherwise. I have a few choices for you this time. You can click on the pictures below to go the information about the book on Goodreads, and that way you can decide which book you'd like if you win! The winner of this contest will get to choose one of the books above. Make sure to enter in the Rafflecopter below! Good luck! And when you're done here, be sure to hop to the other blogs listed in the linky below the Rafflecopter for even more great giveaways! First let me thank Netgalley and Open Road Media for letting me read this e-galley. I guess I didn't quite read exactly what this was when I requested it. 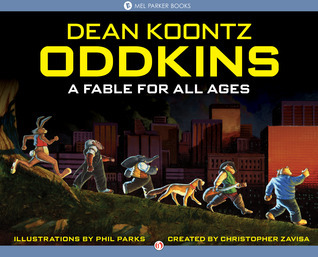 I saw Dean Koontz and "Odd" as part of the title, and just assumed it was going to be part of Koontz's Odd Thomas series, maybe a prequel, or a young adult level novel. But it wasn't. And this isn't a new release, it was actually released back in 1988. I'd never heard of it though. And, it's not related to Odd Thomas in anyway. :-( But, that's not to say it isn't an okay story. This is definitely a kids book. It is about a bunch of toys that are alive. They are created by a toymaker named Bodkins. When he dies, it is a bit unexpected, and he is not able to get in contact with the toymaker who is supposed to take over for him. But it needs to be done quickly, because in the cellar, below the basement of the toy factory, there are evil toys. While Mr. Bodkins' toys are alive so that they can help kids who have need of a good friend, these evil toys are created alive so that they can go out and hurt kids, and make their lives miserable. And the evil master, seeming to be maybe the devil according to the book, has found just the perfect person to take over the factory. A criminal just set loose from jail. The toys, led by Amos, a stuffed bear, must find the new toymaker. But on their journey, they encounter the evil toys set out to destroy them. It's a long journey with lots of trials, and it is hard for all the toys to make it without any losses. But this new toymaker, if reached in time, can help to save them, and keep the evil toys from completing their task of returning the toy factory to its former evil state. A good story for maybe 4th and 5th grade students. Scary at times. Glad I got to read it. 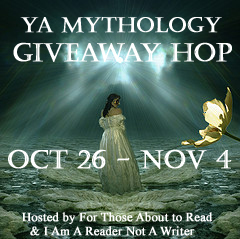 AND, the winner of my YA Mythology Giveaway Hop is: Megan B.! And she has requested to have a copy of The Goddess Test, which I'm sure she won't be disappointed in!! Congratulations Megan, and thanks to all my new followers, as well as the long time followers, for participating! So, what is your opinion on these types of books? First let me thank Netgalley and I'd like to thank the publisher, but for some reason I can no longer find this book on Netgalley, not even just to post my feedback. I'm still having some issues with the new Netgalley I guess. This is actually a book that was first published a couple years ago. I never heard of it, but it fits in well with a lot of the popular apocalyptic/zombie craze that is going on right now. In this book though, the zombies are not the main part of the story. And it's still not quite sure what is the cause of the end of the world situation. Our main character is Jesse. He is in the US from Australia as part of a junior UN kind of thing. The story starts out with them on the subway in NYC headed back with the group. Jesse and his 3 friends, Anna, Dave, and Mini, are separated from the rest of the group in one car back from the others. In their car are some guys who look like gang members, and so Jesse is a little nervous about that. All of a sudden there is a big explosion that shakes the subway car and they see a huge fireball chasing them down the tunnel. When Jesse wakes up, it seems as if everyone else is dead on the subway train. He does walk past one of the gang members and sees that he has a gun laying on the floor by his hand, fortunately the guy is dying, so unable to use it. Jesse and his friends seem to have made it and so they get out of the train, worried that another car may be coming along and slam into them. But once they make it to the station, they find it's worse than they thought. They see their teacher, only to see him drinking from puddles of water on the ground. And soon they see other people doing this. And then these people start drinking from bleeding people lying around after the catastrophe. Dave is from NYC, and so he suggests after seeing all the buildings that are just falling, and the cars just piled up in the streets, that they should go to the 30 Rock building, because it is tall enough they can get a good view around the city to see what is happening. They're hoping that at some point they'll run into other survivors camped out with help. Unfortunately this doesn't happen. 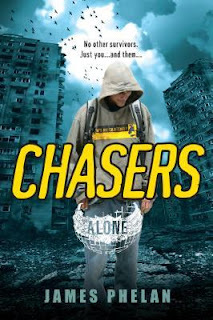 All they see are more of these messed up people, that they decide to call Chasers, since that is what they do when they see you. They stay camped out very high up for awhile. They get quite comfortable. Going through the apartments below the restaurant they're staying in. While they are there they try to make plans on what to do. At one point Jesse goes out exploring to see where they might be able to escape to. Finally, they decide they must leave, and look for others. This happens one night when Jesse sees lights over in New Jersey. When Dave went exploring, he supposedly saw that they could get to the Boat Basin and get out on a boat. So they set out. But still must brave the dangers of the Chasers, and the winter weather. Not to mention buildings just falling, seemingly for no reason whatsoever. I won't give away the ending, but man, a big shocker, reminds me in a way of The Raft by S.A. Bodeen. Glad to know it's a series, as I need to know what happens next! We don't find out what caused all of this, so I'm hoping that will be in the next books. I have to admit one thing that I really enjoyed was all the stuff about NYC. As I spent two weeks there this past summer when I went to BEA and to visit my sister, I love reading about places I've been. Really good book. Glad they're bringing it back out to make it more publicized with all the interest in this area these days. While it's not really so strange these days for a woman of my age to be a fan of YA books, I do still sometimes have to explain it to people when they ask what I've read that is good lately, and I really can only tell them about YA books. As a middle school teacher, reading the same books as my students is important, just to know what is going on in their world. Plus, when I went back to school and got my Master's Degree in Library Science, I had to start getting more involved in this age group. I also had awesome librarians that pointed me to some great series, and got me stuck back in the YA world. I would have to say that Twilight and Harry Potter really got me back into this age level. 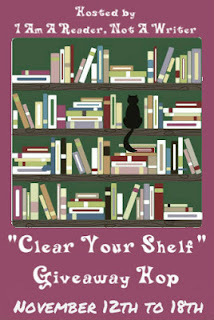 Along with my involvement with the Missouri Association of School Librarians and their book awards. I must admit that really there are so many good books in YA. There are new, fresh story ideas. And often they are so much better than what is available as adult books. Another thing, since this is November, is why I am thankful for YA. First, I love what books like the Twilight series have done for books. Say what you will about the series if you don't like it, the number of people coming in and reading went up thanks to them. 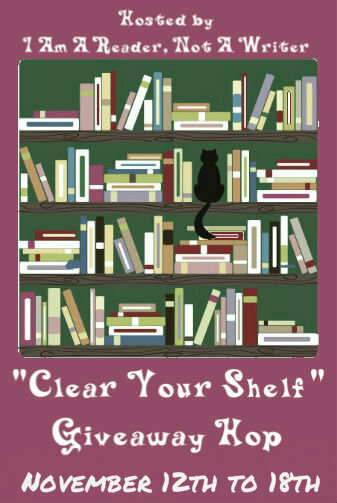 Even the girls and older women who wouldn't normally be big readers seemed to flock to the bookstore, inhaling the series, and then asking us for similar types of reads. I think Twilight led more people to the Sookie Stackhouse series, and probably even helped get it a show on HBO. I'm also thankful for all the awesome people I've met because of this foray into the YA world. Such neat authors that are so willing to talk to their fans, awesome fellow bloggers that I've met online and also at times in person. And I think my knowledge of this type of book has really helped me with certain students. Some of my favorite moments as a teacher have been seeing kids who fought every step of the way to get reading at school, seeing them fall in love with a book, The Lightning Thief, Twilight, The Maze Runner, etc. 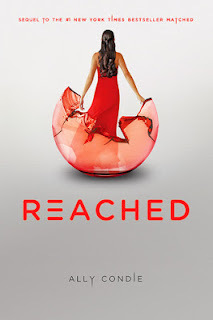 Now, if you too love YA, you need to look at the image in this post, and click the link to go visit an awesome author, Beth Revis, author of the Across the Universe series. She is offering all the books you see in the image. Books I would love to win to read, and share with my students at school. So while I want to publicize her giveaway, I'm also hoping to win myself! So go now, what are you waiting for?